We hope you have all had a lovely holiday and are refreshed and ready for our Spring Term! On Monday we introduced our topic 'The Rainforest'. The children loved dressing up as different animals for our WOW starter. We are looking forward to our trip on the 4th of February to the 'Botanical Gardens' where we will be learning more about rainforest animals and food chains. Just a reminder to try and complete a homework activity from the homework grid. If you bring any homework in by next Friday 18th January your teacher will give you a golden housepoint! 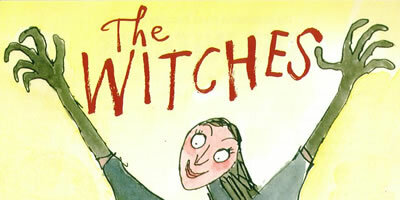 We loved learning about 'The Witches' for our Roald Dahl day last week. We decided to make a potion to get rid of any witches if they happened to pop into our classroom! We added a smelly sock, bugs, slippery slime, glittery water and a rotten tomato. We had so much fun! Last week Year 2 had a visit from Billesley fire brigade. We learnt all about fire safety and how the fire service has developed since The Great Fire of London. We loved sitting inside the fire engine and pretending to be firefighters! Year 2 has kicked off to a great start with the launch of our new topic 'The Great Fire of London'. We even had a visit from Samuel Pepys himself, who told us all about his famous diary and even how he manged to save his favourite cheese in the fire!